Economist Aleph Molinari has set out to save the world. Much like the healing benefits of one acupuncture needle in the correct spot, technology can be inserted into various locales to heal the world. He professes that technology isn’t going to save the world, we are. Human energy can use technology as “a tool for change.” With 70% of the world’s population disconnected from technology, Molinari created an organization called RIA: Learning and Innovation Network where he has brought technology to over 140,000 people in the past two years. Molinari’s empowering lecture promotes a level of social-consciousness that forces the digitally included to look at how we can access change in the digitally excluded. In order to reach as many digitally excluded people as possible he uses a process called urban acupuncture. Field agents travel into communities, analyze the geography, asses the local culture, and set up RIA stations in the place where most people will have optimum access. He plants his RIA station, as an acupuncturist places a needle, in the one spot that will heal the entire body. His plan not only reaches a multitude of people, but does so in a way that will not heavily impact the environment such as by placing computers in the hands of every user, which will incur Internet costs, maintenance, and potential landfill waste. The environmentally-conscious RIA stations are set up to bring the people to the technology, train them, and give them the tools to become digital citizens. As the digitally excluded enter the RIA stations Molinari has developed a system to bridge the digital divide. The first part of the process is the computers, second is the Internet, and third is office software. The fourth phase is comprised of 72 hours of technology training with the end product being a digital citizen. Molinari’s lecture is inspiring for those of us digitally included. He affirms the importance of the being digitally included and allows us an opportunity to embrace that power and “use technology to make this world a better place. Technology should be a right, not a luxury,” Molinari reminds us. Jan 30 First SOPA, now ACTA? Say you’re the owner of a thriving website that you’ve been working years to maintain. Your homepage displays a short video clip from a movie that you thought added punchy dialogue to your site’s message. Upon the passage of ACTA, your domain is completely taken down due to copyright infringement and your Internet connection is terminated. How could anyone allow this to happen? The entire United States seemed to take up arms when the Stop Online Piracy Act (SOPA), a bill that would strongly enforce copyright laws and restrict access to entire Internet domains, entered Congress in December 2011. After a widespread “blackout” on January 18 of many popular websites, SOPA sponsors readily withdrew their support and the bill is now all but dead. What many Americans didn’t know was that President Obama had signed the Anti-Counterfeiting Trade Agreement (ACTA) a few months prior, on October 1, 2011. ACTA is an international treaty aiming to stop copyright infringement and other forms of intellectual property theft through a legal framework that would promote cooperation among involved countries. Many Europeans and increasing numbers of Americans are upset with this treaty for a variety of reasons, notably the process in which the treaty itself was signed. Neither the citizens of the signing countries were consulted nor was the entirety of the European Parliament involved with the negotiations, those of which were found to be conducted mostly in secret. Twenty-two out of 27 members of the European Union signed the agreement in Tokyo on January 26. This was met with marching in the streets of Poland, a French member of the European Parliament quitting, and the Polish parliament protesting with Guy Fawkes masks. Obama is under fire for signing the treaty without consulting the Senate. Under the provisions of ACTA, copyright holders would be able to obtain personal information about people suspected of copyright infringement, take their property, and legally be allowed to pursue said suspects. The holders also can demand the market value of the “stolen” content. ACTA does not include any fair use provisions, unlike current U.S. copyright law or the Digital Millennium Copyright Act, and its status as an international treaty will supersede the laws of the U.S.
ACTA is not limited to the Internet and items such as generic drugs and food patents would become more difficult to obtain. Flying into different countries could criminalize someone if the drugs were still under patent in the specific country. Fortunately, quite a few emerging countries are opposed to such provisions. ACTA raises significant concerns for the freedom and privacy of citizens around the world and is rising quickly from the ashes of SOPA. Fight for your Internet freedom and speak out against ACTA. A picturesque view of Male, the capitol city of Maldives. 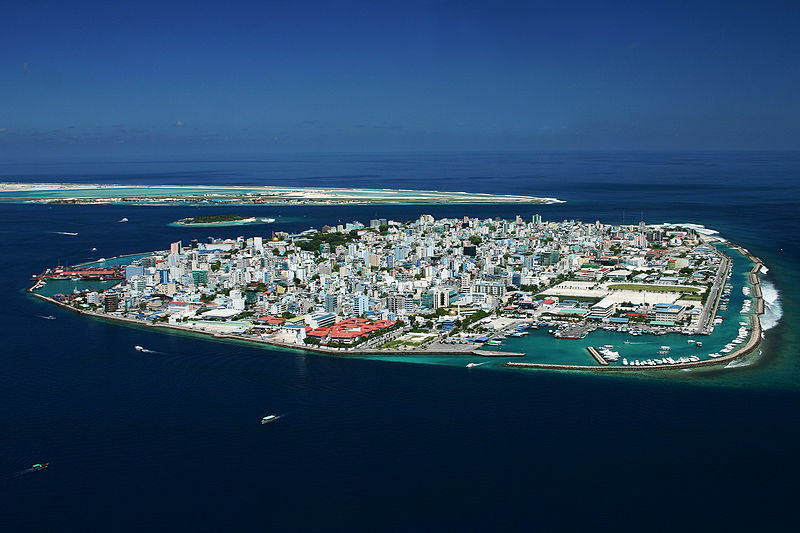 MALDIVES – The small island chain set a goal to offset its greenhouse gas emissions by 2020, but if the rest of the world does not follow and world carbon emissions fall Maldives could be completely underwater by the end of the century. The archipelago of 1,190 islands is the lowest elevated county in the world. The average elevation is just one and a half meters above sea level, leaving it susceptible if the sea levels continue to rise. Maldives spends approximately 15 percent of its GDP on Diesel fuel to provide power to the inhabitants of the islands. They are beginning to wane from that source of energy though. Wind turbines are starting to be completed on many of the southern islands. Mohamed Nasheed, President of the Maldives, said he wants to be the example for the rest of the world to try and save his country from going underwater. Although creating clean energy is the only way to save his country, that is not the only reason to do it. “For us this is an economic issue. It’s a financial issue. We are becoming carbon neutral because it is cheaper than fossil fuels,” Nasheed said. Moving to cleaner energy is not an easy step to take. It takes investments over long periods of time and possible cuts to other areas of the budget. This may be the biggest reason why other countries have not been as forward about using cleaner energy, the cost is just too high at the moment. Maldives’ economy thrives on tourism, which has been hit hard because of the state of the economy. It is not easy for the country to delve deep into its pockets for investment in clean energy, but it is necessary. The cost is especially hard for developing countries like Maldives. “When cities, people and countries develop, you have to pay a higher price. We’re trying to adjust these prices to very minimal,” Utility Chairman Ahmed Zareer said. Other hindrances are effecting the construction of certain clean energy projects. The climate is not conducive to solar panels because of the corrosive nature of the salty environment, parts of the island chain receive hardly enough wind for turbines to be effective and there is little land mass for solar panels to have a particularly large impact. These disadvantages come with the territory of living in paradise. But, they will not stop Nasheed and the rest of the Maldives from trying anything they can to keep their country afloat. 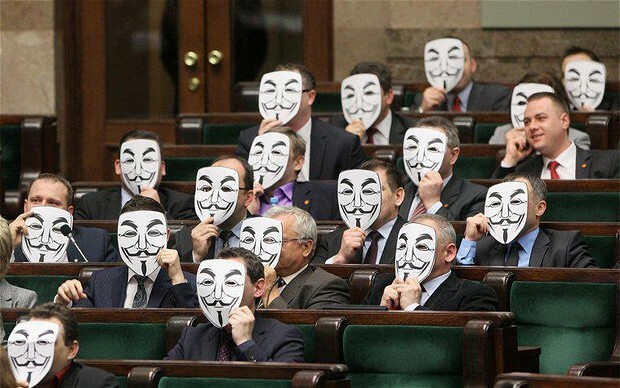 In response to the Jan. 19 arrests of Megaupload founders in New Zealand, major US websites are shutdown by hacktivist group Anonymous in protest of anti-piracy laws. Following the mass protest of SOPA/PIPA legislation by prominent websites including Wikipedia, Google and Craigslist, the widely used file-sharing site Megaupload was shut down by the American Federal Bureau of Investigation. 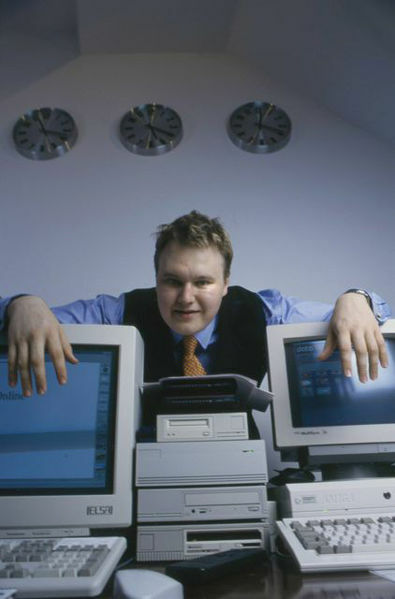 The founders of Megaupload (and associated sites Megavideo, Megapix, Megalive, Megabox and Megaporn), Kim Dotcom (aka Kim Schmitz), Finn Batato and Mathias Ortmann of German citizenship and Bram van der Kolk of Dutch citizenship were arrested in Auckland by New Zealand authorities executing provisional arrest warrants by the US. A US Department of Justice statement, released on the same day as the arrests, declared the action against the “Mega conspiracy” to be “among the largest criminal copyright cases ever brought by the Unites States and directly targets the misuse of a public content storage and distribution site to commit and facilitate intellectual property crime.” The Megaupload site now bears the following notice informing visitors that Dotcom, Batato, Ortmann, van der Kolk and three others have been charged with criminal copyright infringement. Following the federal seizure of Megaupload and arrest of its founders, several US government and major music and film industry websites went down. The affected sites include FBI, DOJ, Universal Music Group, Warner Music Group, Recording Industry Association of America and Motion Picture Association of American. Some of the broken sites were down for hours. Responsibility for the attacks was taken by hacktivist group Anonymous on their Twitter feed. In the early afternoon of January 2012, @YourAnonNews posted “The government takes down #Megaupload? 15 minutes later #Anonymous takes down government & record label sites. 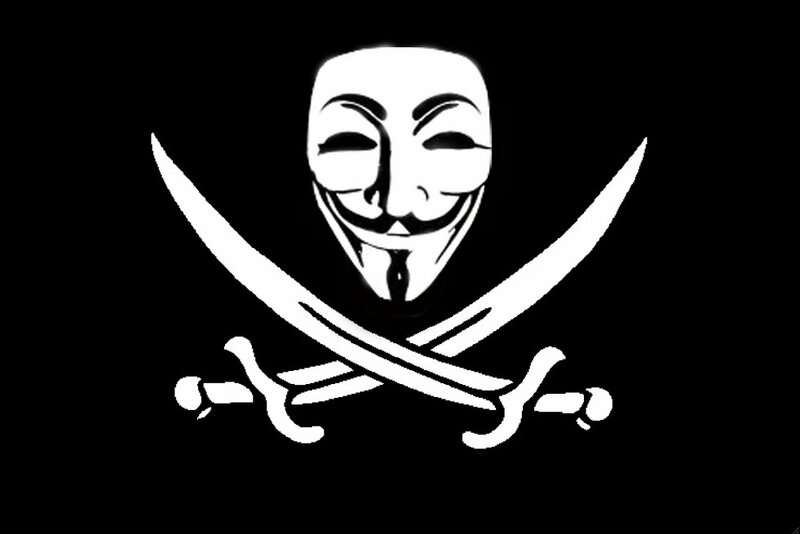 #ExpectUs.” Anonymous is a long-standing opponent of anti-piracy legislation and were active in opposing SOPA and PIPA earlier in the week. @YourAnonNews called the attacks on prominent government and industry sites “The Largest Attack Ever by Anonymous – 5,635 People Confirmed Using #LOIC to Bring Down Sites!” The LOIC (Low Orbit Ion Cannon) is an open source application that allows multiple individuals to launch a distributed denial of service attack, flooding and crippling the targeted system. The debate over anti-piracy legislation and Internet censorship is unlikely to end soon. Anonymous and other supporters of the free Internet will continue to face challenges from politicians and lobbyists who persist in threatening the freedom of information. Further attacks in protest of anti-piracy and censorship are imminent. As Anonymous operative Barrett Brown told RT.com, “more is coming”. 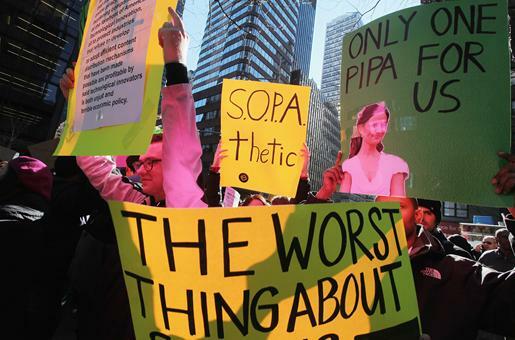 Protesters fled to the streets of Manhattan to show their support against the SOPA and PIPA bills. Proposed anti-piracy laws SOPA and PIPA have yielded protests and debate among Internet activists and the media industry as the House and Senate move closer to a decision. Thousands of Internet sites and activists have recently come together to oppose two anti-piracy bills. The two bills, the Stop Online Piracy Act (SOPA) and the Protect Intellectual Property Act (PIPA), would strengthen protection against copyright infringement by restricting access to foreign sites that enable the trading of pirated content. There has been quite a fuss over the bills from content groups, media companies and business representatives, who argue that growing Internet piracy is threatening content-creating industries, and Internet advocates who contend that the bills would stifle innovation and censor free information. Tech companies, like Wikipedia and Reddit, launched a “blackout” on their sites to protest against the bills. Viewers were redirected to the protest page just moments after their intended searches were displayed. The page also provided links to SOPA and PIPA, specifying additional information on the proposed bills, and a link that would help visitors reach their member of Congress to oppose the bills. BoingBoing, Mozilla and TwitPic also participated in the protest, while Facebook and Twitter opposed the legislation but did not participate in the blackout. Google’s logo remained hidden behind a black rectangle, linking to a petition that drew more than seven million signatures opposing the bills. Congress has halted the debate on the two bills, postponing the vote on the Protect IP Act (PIPA) that was originally scheduled for Jan. 24. Much of the decision was based on the recent events that were by Internet activists. During the turn of the last century cars, electricity and telephones were just beginning. Man only looked at the stars thru telescopes and space travel was a fantasy. Today we are all connected in someway and have become dependant on technology whether you like it or not. We owe a lot of the modern day comforts to Nicholas Tesla father of alternating current. This man was a revolutionary but considered a mad scientist by his peers. He died almost broke, but his ideas shaped our world. His works have been credited on forming the basis for wireless communications and robotics. His adversarial relationship with Edison not only enabled our world to move forward it forced the sceptics of his era to concede his ideas as more than just fiction. It would be hard to imagine going to a store unable to swipe a credit card for a purchase or use your cell phone to call a tow truck in the middle of the desert. But without electricity and wireless capability it would be impossible. The technological advances in the past twenty years have enabled us to not only send robots to other planets but also stay remotely connected with them. We have the ability to perform complex diagnostic procedures on the body with computers that have been programmed to interpret data or perform procedures that would have previously required a surgeon. As new products are invented they are also getting smaller, laptop computers with wireless cards have enabled children in impoverished countries to become educated and connect with a world which was previously unknown. These young minds are also inventing new items and teaching others in ways which will be a benefit to all in the future. This progress is not only limited to education and medicine, it can be found in entertainment, art, business, travel and much more. By becoming connected you are able to make informed decisions quickly and accurately that would have previously required spending hours researching. Although when it comes to entertainment the exceptional advances with cameras and televisions have been fantastic. The ability to sit in the comfort of your livingroom and watch a 3D movie while pausing, rewinding and recording something all at the same time is a comfort that needs to be experienced. Which makes one wonder what will be the next new toy to enhance our lives or our world. Jun 24 ‘Computers of the Future’ as envisioned by Americans. Computers are penetrating more and more in our everyday lives and becoming a necessity. Tablet Pc’s are bridging the gap between smart phone devices and heavier bulkier laptops. Operating system is coming to the web with Google Chrome on Cloud, changing the desktop dynamics with a cost effective and portable solution. Touching the Human Emotions ! A pretty believable idea considering the technology around us is evolving at the speed of light. Intel at its Annual Research Day at the end of this month will also be indicating the progress in the same direction. 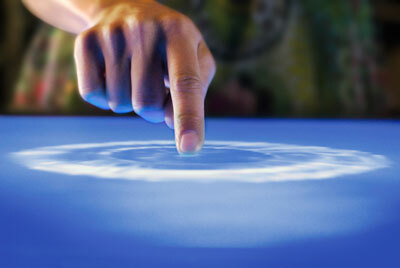 Its spotlighting technology that reads readers gesture and responds to the thoughts. The event is to be held at the Computer History Museum in Mountain View, California. When computers start reading our minds and talking back to us, that popular saying on books will be modified to ‘computers are our best friends’. Jun 23 The Bi(n)g Idea of Entertainment! Bing's music to the ears ! 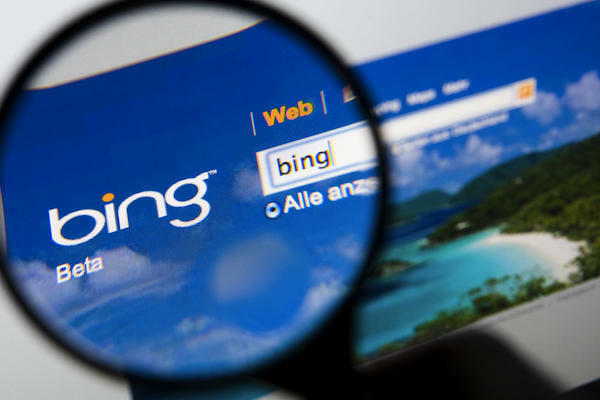 Microsoft’s aggressive attempts to revive their search engine by changing its name from MSN search to Live and then finally to Bing and positioning it as a decision engine has taken a new entertaining step. This Tuesday, the company announced a new way to search the entertainment stuff where you can play games, watch your favorite soap operas and other TV content, stream music and shows, all without a second click, right on the Bing domain itself. This will perhaps make Bing look more like a web portal than a search engine page, while making the navigation much smoother for the average user who gets lost in the information explosion that comes with every search query that is made. This new feature includes services from Zune catalog too, where each of several million songs on Zune can be played once for free and 30-second previews available thereafter. It is noteworthy that presently 7% of all Bing searches (which accounts to 1.5 billion queries per month) are entertainment-related queries. This percentage is more likely to go up now with the introduction of this feature. Though Bing is still far from capturing Google’s number one position as far as search goes, this is surely a step in the right direction. Analysts are predicting serious supply shortages for the new iPhone 4. These predictions are a result of production issues with the new display technology provided to Apple by LG Electronics. 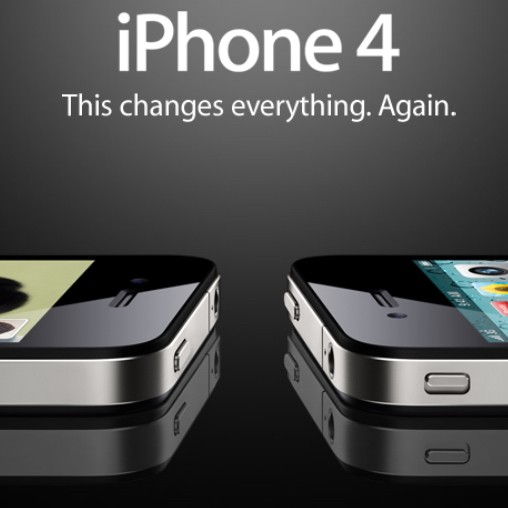 One of the key new features of the iPhone 4 is its new Retina Display which utilizes in-plane switching (IPS) technology. This technology will provide an exceptional visual display and allow movies and photos to be viewed from nearly any angle. 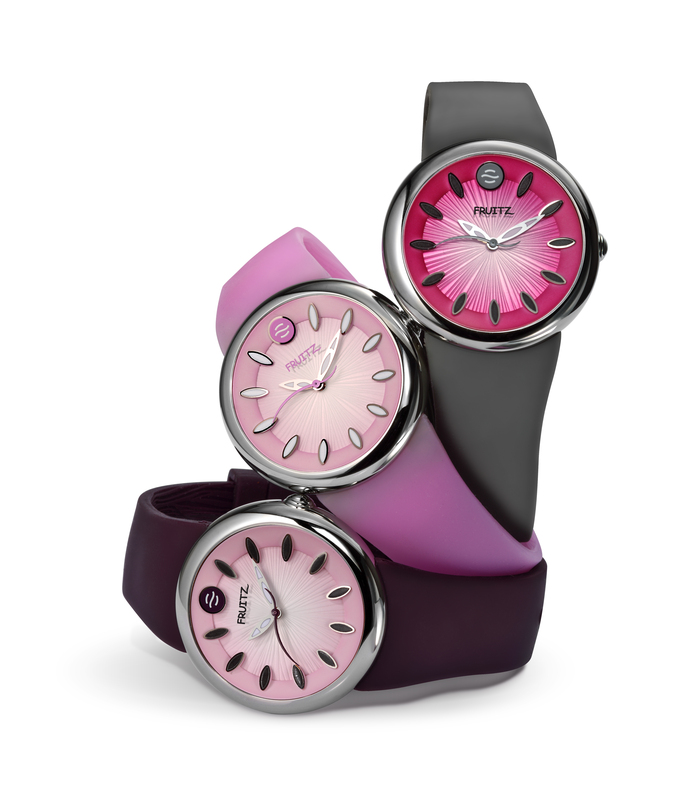 This is possible because of the extremely high pixel density available with IPS technology. Low production yields of the IPS LCD panel produced by LG have reduced production volumes for the new iPhone. Apple is hopeful that the transition by LG to Gen 5 LCD capacity late this summer will help bring the production of the new phone back on track. In addition to the improved visual display made available by IPS, other differences between the new iPhone 4G and its predecessor include a 5 megapixel camera with HD video capability, LED flash, gyroscope, duel microphones, better speakers, an improved antenna, and front facing camera for video calling. The basic model of the new iPhone will range in price from $199-$299 with new AT&T rate plans and will be available for purchase in the coming weeks.